Delhi is no doubt a glorious city and offers many places to travel. There are many places around Delhi where you can visit to escape the busy city life. Delhi is not only the capital of India, but it is also having a vast cultural diversity. The city is full of many monuments and is very close to Dharamshala. You can visit Dharamshala for your recent weekend getaway with your friends and family and feel refreshed. Dharamshala is known for having a strong Buddhist influence. 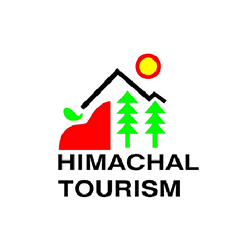 The small city is situated in the northern parts of Himachal Pradesh. The beauty of the place is very beautiful and is a perfect place to learn about Tibetan Culture. Some of the places to visit in Dharamshala are Sangam Park, Nehru Park and Gandhi Park. You can also visit the Kangra Art Museum to get a taste of local handicrafts and culture. Hiring a car rental service to reach Dharamshala. Choosing the roadway is the best way since you get to witness the immense beauty of nature. At WooCabs, we offer the best car rental service if you are willing to travel in the northern parts of the country. We offer both round trips and Delhi to Dharamshala one way cab service. To know more about the services we offer, you can visit our website or you can also download our mobile application from Google Play Store. If you are looking for a Delhi to Dharamshala car rental service at a very affordable price, you are at the right place. The distance between Delhi and Dharamshala is 475 Km and is optimal for a road trip. It takes around 8-9 hours to reach your destination. The roads to Dharamshala are well-maintained and you will surely have a comfortable journey. You can halt anywhere you want on your way to Dharamshala and take some rest. We also keep launching a few offers during a certain time of the year hence you need to keep checking our website from time to time to get details regarding our recently launched packages. We keep upgrading our services in order to provide the best to our customers. At WooCabs, we offer various car types options to our customers to choose from for their travel to Dharamshala from Delhi. Some of the popular car models that we offer are Etios, Innova and Indica. We also offer various luxury cars for people looking for luxury travels. Below we have shared details regarding the car models that we offer for our Delhi and Dharamshala Taxi service. At WooCabs, we offer the best car rental service packages. We ensure that all our car rental services are very affordable. Depending on the to-dos on your list, you can choose the package that suits your travel needs. Once you are done with the complete booking process, you will receive an e-mail from our side stating all the information regarding the car rental service package that you have selected. We make sure that we keep our car rental service packages very minimal. We follow a transparent billing policy and ensure that our customers are well aware of the services they are paying for. The basic fare for travelling 1 Km by hiring our car rental service is Rs 9. However, there are some other factors as well that affects the total billing amount. Keep reading to know more about our billing process. When it comes to choosing the best Delhi to Dharamshala taxi service, we are the best service provider. We follow a transparent billing policy and do not charge a penny more from our customers. Our drivers are well-mannered and well-experienced as well hence we also ensure a safe journey. If you are looking for a comfortable and affordable car rental service, choose WooCabs.